FOREWORD BY PATRICK LENCIONI, BESTSELLING AUTHOR OF THE FIVE DYSFUNCTIONS OF A TEAM. 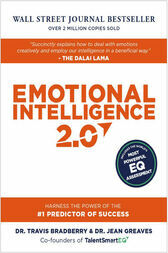 By now, emotional intelligence (EQ) needs little introductionit’s no secret that EQ is critical to your success. But knowing what EQ is and knowing how to use it to improve your life are two very different things.